Van's Orochi editor allows you to do radical things with basically no time or effort on your part. You can play with the files of the game, modify what officers have what model/moveset/voice, their position on the battlefield, what kingdom an officer is from in character select, the stats on various weapons... The list goes on! 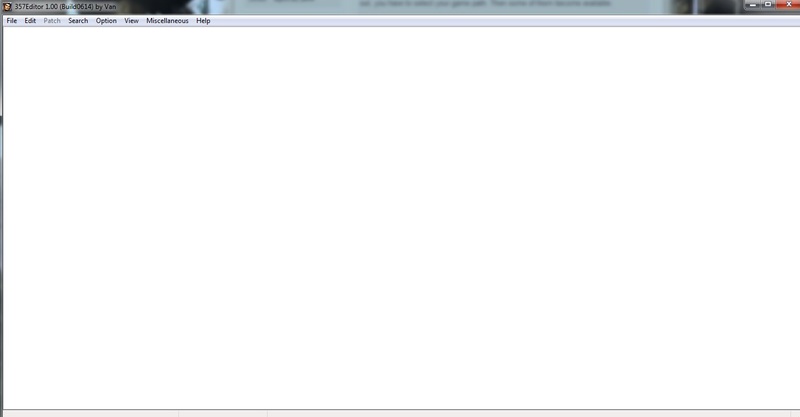 Now, to use the save editing portion of this powerful tool, there's another thread you can go to. 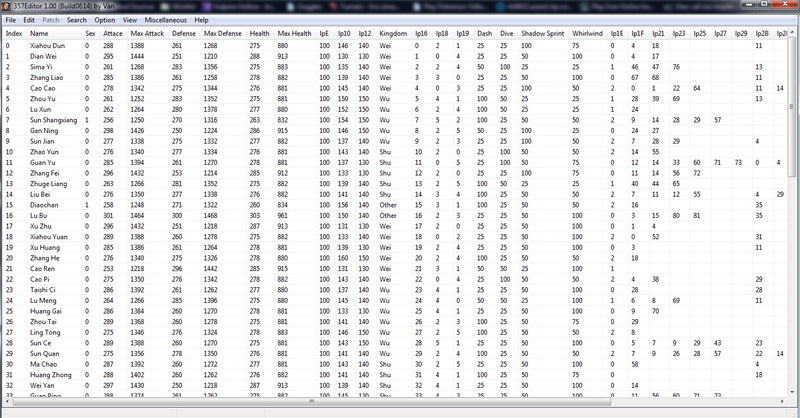 This is the linkdata editing portion. The linkdata houses all of the data that everyone here cares about the most. What officers are using what, what stats each NPC or bodyguard has, what voice plays when you press square, the list goes on. To edit this data, you need to download the tool from Van's website. You'll find it under musou editor. Don't worry, you aren't signing your life away to the flying spaghetti monster. Just click the left option to proceed with the download, and you'll be home free. Extract the files from the zip, and we'll get started with setting this bad boy up! Open up the editor for the first time. Click on the option with an O after it, and it'll open this dropdown menu. From here, you need to select the top option with an arrow beside it, and select English. 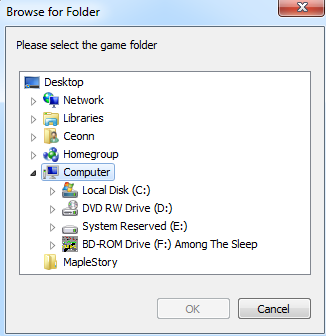 Do the same with the bottom option and restart the editor. If all was done correctly, you should have this. 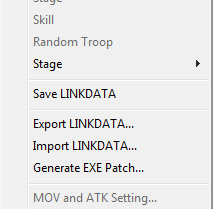 Hit OK, and the editor will now recognize your Dynasty Warriors 8 Linkdata after one restart! 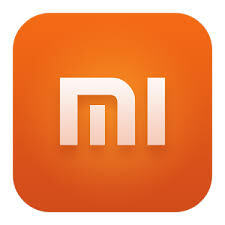 To do some modifications, let's start by... changing Dian Wei's kingdom. This is what you see when you've done all the previous steps correctly. 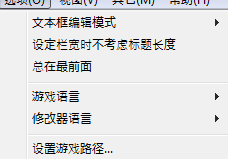 Note: If your copy of Dynasty Warriors 8 is saved in program files, you -must- run this program as administrator, or your edits will not go through. Furthermore, be sure to close DW8 before applying edits, or again, they won't go through. Let's change what kingdom Dian Wei belongs to, since he's OBVIOUSLY a SHU general at heart. 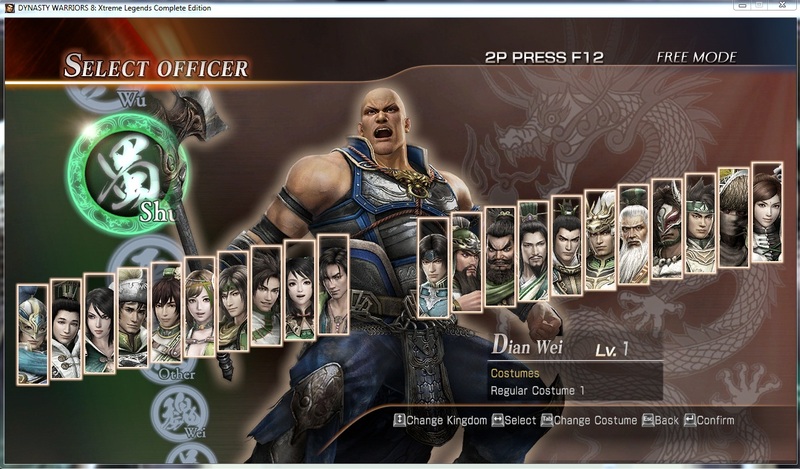 Since we want to change what kingdom Dian Wei belongs to, let's select Officer. This is your resulting menu. This table contains all the information for each character ranging from Xiahou Dun, to every single generic. Fun fact! Chen Gong is still in the game's code as a generic, they never bothered to take him out. To edit Dian Wei, we want to double click on his name. 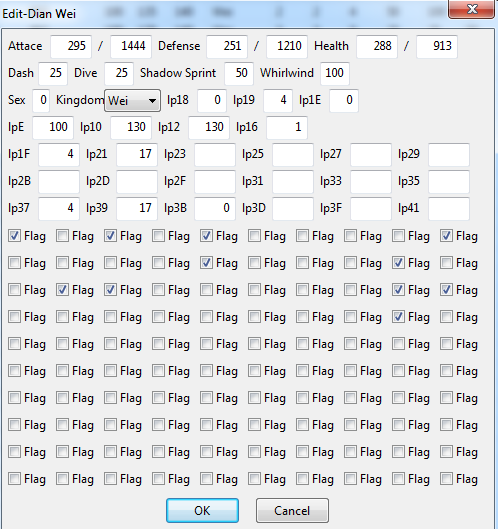 Click the dropdown menu for WEI, and select WU SHU JIN or OTHER! This will change what he belongs to in character select. Since Dian Wei is obviously a warrior of Shu, (obviously) let's make it so. 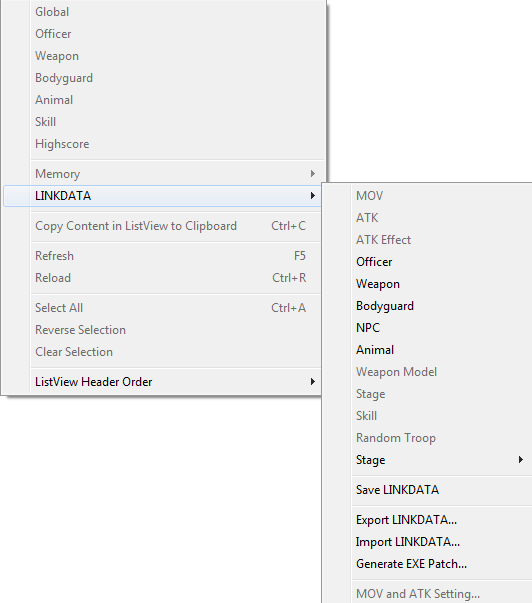 From here, all you have to do is select Save Linkdata from the menu. So let's verify that we actually got Dian Wei onto Shu's roster. Open up your game, and go into character select. Sure enough, looks like the big lug was spying for Liu Bei all along. If you want to make further edits, and do all the things I listed at the top, you only need to experiment with the options and play with the data. If you end up having a lot of trouble, or you discover a nifty feature, share your problems or discoveries here! I'll be sure to update the guide accordingly if anyone has something they need explained in more detail. If you make some huge edits, you can even use the export patch button and you can share it with other people who have the tool, so everyone else can use your modifications! If this catches on, I'll be sure to make a section for it! DISCLAIMER: I DID NOT MAKE THIS TOOL, IT WAS ALL MADE BY VAN. THIS TOOL WILL NOT ALLOW YOU TO SHARE YOUR LINKDATA, JUST MAKE A PATCH FROM IT. AS SUCH, IN LIEU OF THE RULES ON THIS FORUM, YOU ARE ONLY ALLOWED TO DISTRIBUTE PATCHES, NOT THE LINKDATA ITSELF. Quick question, how exactly do you level up officer skills (e.g. accuracy, health springs etc) in the editor? I don't think it can edit. But only Editor creator can know it. Hey frost blaze, please reply me as fast. What is the model number for Handmaiden??? I need it!!!!!!!! Sorry. I really don't know about it. It's better to ask in this forum http://s13.zetaboards.com/koeiwarriors/topic/7204516/1/. I'm sorry that I can't help you. Hey everyone, What is the model number for Handmaiden??? Question: can you edit a custom character in Empires? Thanks. The link doesnt work anymore... can somone provide a new link?